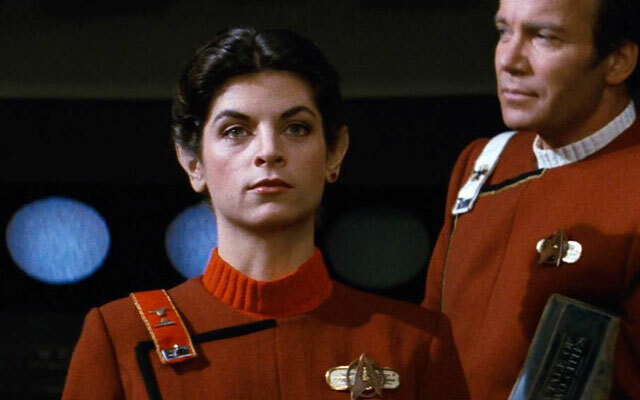 On Monday, Star Trek II: The Wrath of Khan star Kirstie Alley turned 64. The actress, who made her feature film debut playing Saavik in the film, was offered the chance to reprise the role in Star Trek III: The Search for Spock, but declined to return. Following unfruitful contract and salary negotiations, director and star Leonard Nimoy decided to instead to recast the role of Saavik — ultimately hiring Robin Curtis to play the female Vulcan. Alley would go on to have a very successful career, best known for her role as Rebecca Howe on Cheers. You can follow Kirstie Alley on Twitter at @kirstiealley. You can follow TrekNews.net at @TrekNewsnet.